A new DLC for Borderlands 2 is out, and it has pirates, sandworms and skiffs. Since it’s a story/mini-campaign kind of thing, we’ll try and avoid major spoilers. There may be some minor ones though, depending on what you consider a spoiler. Since we’re avoiding spoilers, there won’t be much discussion of the story in this review. 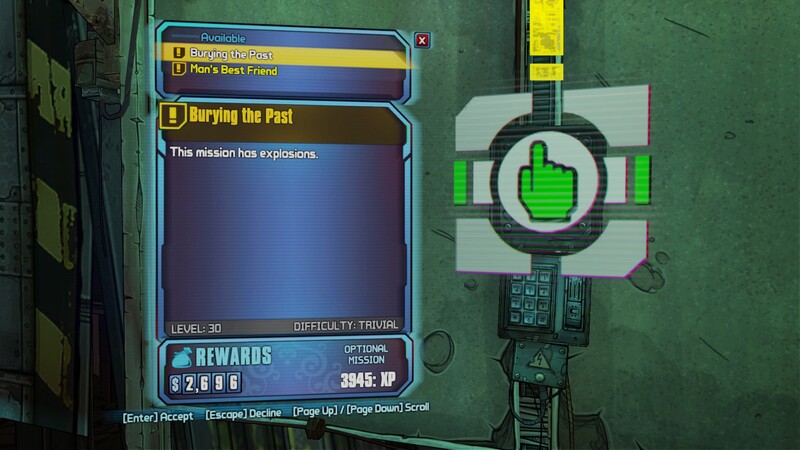 To summarize, it’s good and Gearbox delivers on what they promised, even if they got cute with the ending. The main quest will take a few hours to complete if you do the sidequests. If you try and speedrun it, you could probably complete it in under two hours. Captain Scarlett adds several new areas. These are quite large, and there is a lot of variety. Most are quite pretty, and one underground area is freaking beautiful. There are some problematic areas. One has a gate that blocks access to half of the map, and the gate can get stuck and refuse to open. The same level has a place where you can get stuck in the level geometry. This is especially annoying if you’re a Mechromancer with 400 Anarchy stacks. Another has horrible framerate issues (a level designer appears to have been over-generous with the lighting). In later levels invisible walls start to be a problem. Most of those feel like level design oversights rather than deliberate restrictions on player movement, especially since a loot chest is located three to fifteen feet behind one of them. There’s also a place where the player can die from fall damage. An oddity, considering Borderlands 2 doesn’t have fall damage. There’s nothing fundamentally wrong or bad with any of the levels, but like the Mechromancer DLC, this Captain Scarlett could have used more time in QA before release. This is as close as you can get to that chest. There are a few weird invisible walls like this. There’s very little reuse of assets. The Pirate enemies are not quite palette swapped bandits; they have a few unique tricks up their sleeves. A few, mostly the bigger guys, are quite nasty. The sandworms are not quite as interesting; they mostly sit there spitting at you. I didn’t encounter any interesting variants in playthrough 1, although there may be more variety in playthrough 2. Speaking of enemies, the final boss fight is pretty disappointing. He’s huge and visually interesting, but is extremely reminiscent of the fight against Tyrpticon in Transformers: War for Cybertron. Even the color palette is similar. It’s bizarre. There are new, piratey chests. Speaking of big bad guys, there is some endgame content for those of you who are level 50. Two new Invincibles, both have which have already been beaten by people on the Internet. They drop a new currency that can be used to purchase weapons that, so far, don’t appear to be worth it. Gearbox says there’s something we haven’t figured out yet. More puzzling is Gearbox’s decision to put the new Invincibles on a once a day timer. This isn’t an MMO; there’s no reason to deny the players the ability to kill the big ugly guys fool of loot. All in all, this is probably the most troubling part of the DLC. The sidequests are entertaining. There’s a whole series of them involving finding pirate treasure. Those are quite well written, and have very interesting loot. On the topic of loot, there’s some new stuff. I found about ten items with new red text. There appear to be more. Some of them have some interesting costs associated with their benefits. Most of your quest rewards are unique items, so you’ll end up with quite a few in your inventory. Gearbox knows what you want. The last major new thing are the Skiffs. The Skiffs handle quite well. It’s honestly quite a shame we can’t use them elsewhere. Since they hover they can strafe. They can’t move vertically at all, and you will see them get stuck on wooden signs that are two feet too short to hit them. In terms of weapons, they all have a turret mounted machine gun that can be controlled by a gunner and a prow mounted weapon for the pilot. The prow weapon can be rockets, sawblades or a harpoon. The harpoon is by far the best. It fires slowly, but does massive damage, can go through multiple targets and explodes a few seconds after it hits something. It’s really a shame there isn’t a man-portable version (if there is, I haven’t found it). All in all, I would recommend Captain Scarlett and her Pirate’s Booty. There are some problems and troubling design decisions, but it has a good amount of entertaining content.